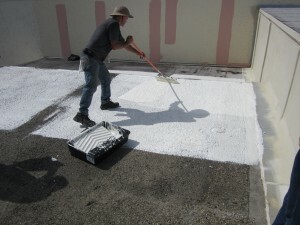 Currently in the works at APT is a new line of roof coatings. As with our other industrial coating lines, the new roofing line will offer exceptional protection against water and the elements, along with quick turn around time and superior solar reflectance properties. The coating is one component, one step, easy to apply, and can be used on multiple types of surfaces. Be sure to stay up to date with all of the latest and greatest innovations coming out of APT by following us on Facebook at http://www.facebook.com/APTWorldwide .